The Green Wall is headed home with a third-place finish. 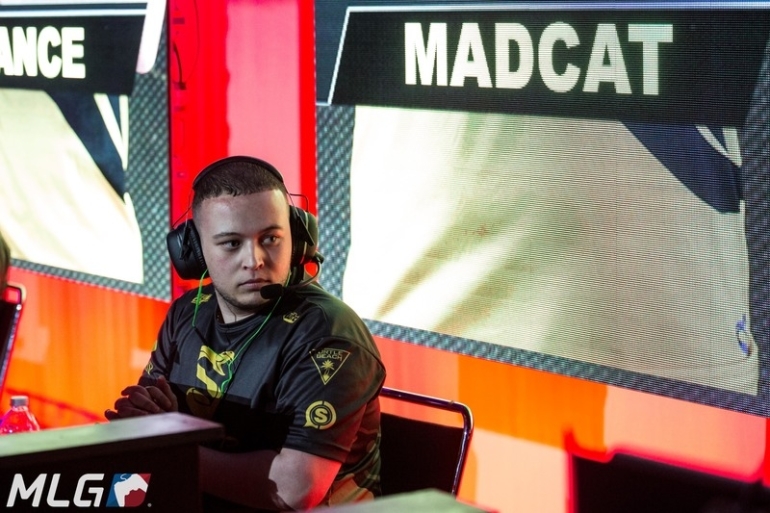 Splyce got their revenge against OpTic Gaming in the losers bracket finals by eliminating the Green Wall from the first Call of Duty World League event for WWII. Earlier in the tournament, OpTic beat Splyce 3-2 to send the Europeans down to the losers bracket. But Splyce took down Echo Fox and FaZe Clan to reach the losers bracket finals—and thanks to Team Kaliber, they got another opportunity to play against OpTic. Thomas “Tommey” Trewren, Ben Bance, Jordan “Jurd” Crowley, and Dylan “MadCat” Daly started the series with a strong 250-186 win on Ardennes Forest Hardpoint. The Europeans then kept up their momentum with a 6-3 victory on Ardennes Forest Search and Destroy. Map three, London Docks Capture the Flag, was a back-and-forth game as both teams traded flags. The game went to overtime tied at four flags each, and OpTic struck first, capping a flag in under two minutes. But Splyce captured a flag quicker in the following round, and the Europeans won CTF 6-5 to eliminate OpTic from CWL Dallas. OpTic will head home with a third-place finish after losing six straight maps, while Splyce will advance to the grand finals to play against Team Kaliber in a North America vs. Europe matchup.